The Intro to Travel Blogging Workshop is designed for those of us who absolutely love to travel and are ready to share our stories and insights with the world. Writing about our travels enables us to explore the world on paper, reimagining and sharing our journeys from the busy marketplaces of Uganda to the austere churches of Ukraine to the waves of the Mediterranean Sea. Expert blogger and Jetting Around Founder, Pola Henderson along with the Pink Pangea team will lead you through a transformative workshop to introduce you to your blogging possibilities and review all you need to know to create an extraordinary blog. You’ll received information about how to use your time best, new tools to help you get started, photography, and more! The Intro to Travel Blogging Workshop will be facilitated by expert Travel Blogger Pola Henderson of Jetting Around and Pink Pangea Co-founder Jaclyn Mishal. To purchase the pre-recorded online Intro to Travel Blogging Workshop, pay in the PayPal link below. Once you submit your payment, we will send you the workshop’s link and you’ll have access to participate in workshop from anywhere in the world. Pola Henderson is the founder of Jetting Around, a blog dedicated to city travel (est. 2010). Pola grew up in Krakow, lived in Oran and Chicago, and is currently based in Paris. Her writing credits include CNN, MasterCard, Expedia, and Yahoo. In addition to writing, Pola hosts a weekly urban travel discussion on Twitter called #JAchat and networking events for travelers, JA Café: Travel Talk Over Coffee. Jaclyn has led writing and Fearless Living workshops internationally in partnership with colleges and companies, including Google, Barnard College, Mount Holyoke College, Smith College, Wellesley College, Wagner College, REI, Global Yoga Journeys and Hostelling International. Each year, Jaclyn leads Writing Retreats in Costa Rica, Italy, Switzerland, Spain and Israel. According to Jaclyn, writing enables us to access parts of ourselves that we may have trouble expressing otherwise. 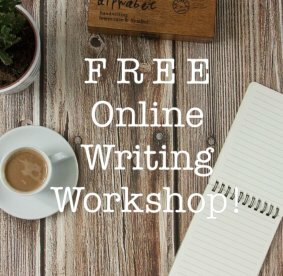 Questions about the Intro to Travel Blogging Workshop? Email Hello@pinkpangea.com. Visit us here for information about Pink Pangea’s award-winning Travel Writing Workshop.